A new project headed by the Oakland Museum of California will administer salvaged steel from the Bay Bridge to use in projects, free of charge. Artists and members of the creative community can now apply for salvaged steel from the Bay Bridge to use in public art projects as part of a new program headed by the Oakland Museum of California. 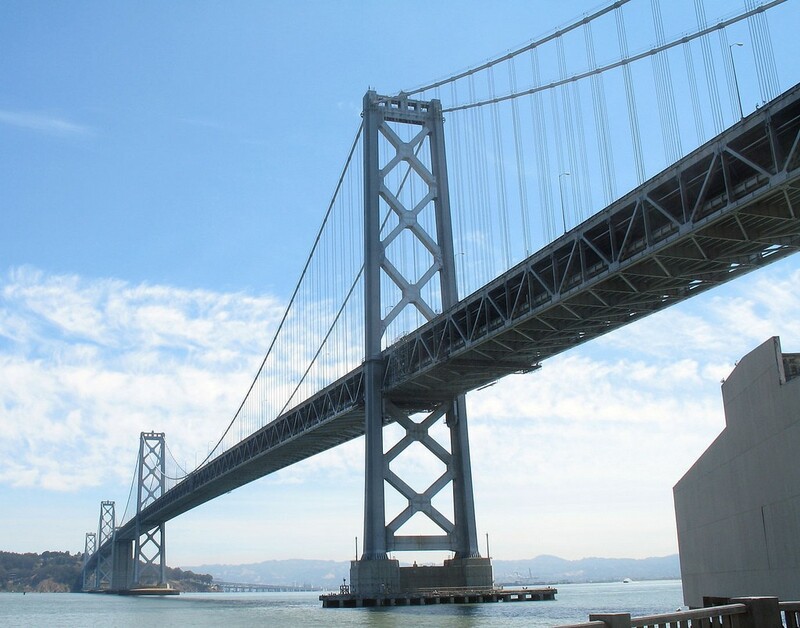 Last week, the Oakland Museum of California announced the Bay Bridge Steel Program, which will distribute steel collected from the ongoing demolition of the historic east span of the bridge to those interested in creative public projects, free of charge. The program intends to preserve the legacy of the east span of the bridge by reincorporating its elements into public art projects throughout California. The deadline for the first round of applications is October 1, 2015, with later rounds anticipated in May and December 2016, provided there are materials remaining. Applications can be found on the museum website. “The process of the Bridge's demolition and the future use of the Bridge's salvaged steel are important to the people of the Bay Area and the people of California, and this program will help honor and celebrate the history of this iconic structure, " said Lori Fogarty, director and CEO of Oakland Museum of California in a press release sent out last week. According to the press release, the museum will review applications of works “destined for the public realm” which evoke the bridge’s iconic structure or its history in creative ways. In order to be recieve an award of steel, applicants must propose a project to be built in a publicly accessible or privately-operated public space, and demonstrate the ability to successfully create and fund the project, among other criteria. More information on selection criteria can be found here. The program will have two information sessions at the Oakland Museum of California on June 24 at 5 p.m. and July 18 at 12 p.m.
Dan Fontes is asking $400,000 in damages from previous and current property owners.